I had some dates that were kind of getting dried out. When that happens, I try and soak them to use them up asap. That is how this Caramel Cashew Spread came about. All you need is 2 ingredients to make it and it’s so delicious. I can see it being used for so many things. For example, a spread for pancakes or waffles, drizzle over ice cream, swirl some in overnight oats, or just eat it off the spoon! You can even add some sea salt for a salted caramel taste! This healthy spread has zero added sugars. It’s just sweetened with dates. 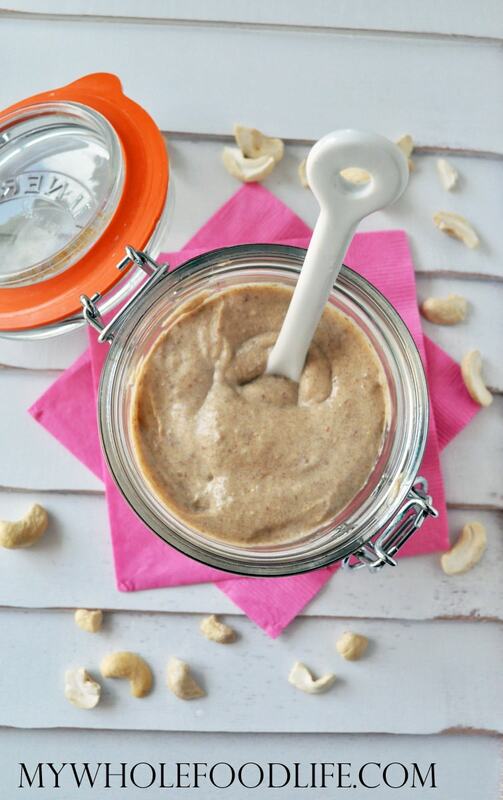 If you can find cashew butter, you can easily make your own. I show you how in this quick video. Easy peasy! For more videos, you can subscribe to my You Tube channel. Only 2 ingredients to make this decadent spread! Drain the dates and add them to a food processor with the cashew butter. Blend until smooth. Store in a jar in the fridge. It should last a few weeks that way. Enjoy! I love the simplicity of this! Medjool dates really do taste like caramel, and I love snacking on them. I bet they'd pair great with cashews! Kaboom Melissa! I'll have to try this as a dipping sauce for apple slices. This looks amazing! I'm going to make it tonight! Wow!!!!! This sounds so delicious and only two ingredients! Thank you for this Terrificly Great recipe! How would you make this starting with raw cashews? Put cashews in a food processor and blend into butter. Then add the remaining ingredients. Wow. I mean.... Its like.... It looks so yummy! Im gonna have to have this on a sandwich one day instead of PB+J!